When squire Fisk quarreled with his knight errant, Michael Sevenson, neither of them wanted to meet again. So of course, just six weeks later they find themselves in side-by-side cells, when Michael is accused of murdering the man who got his brother Benton fired from the university. Michael needs to help his brother and Fisk needs to get out of jail—so when Michael’s sister bails them out, on the condition that they work together to find the man who framed Benton, Michael and Fisk are forced to agree to her terms. 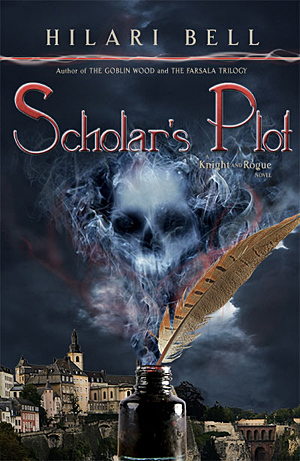 But will unraveling the tangled web of blackmail, sabotage and murder bring knight and squire back together? Or will it drive them apart for good?